Save for his raucous, rhapsodical autobiography, Ecce Homo, The Antichrist is the last thing that Nietzsche ever wrote, and so it may be accepted as a statement of some of his most salient ideas in their final form. 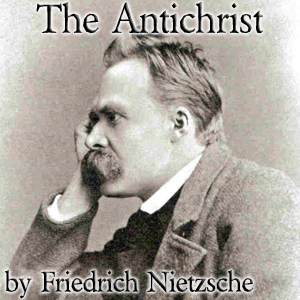 Of all Nietzsche’s books, The Antichrist comes nearest to conventionality in form. It presents a connected argument with very few interludes, and has a beginning, a middle and an end. The reason to listen to this version is that H.L. Mencken, the famous journalist, turned Nietzsche's German into such direct, plain-spoken American English that it puts the haranguing philosopher right up in your face. Would love to listen to this, but that is the HARDEST voice to listen to. Horrible! The first speaker for this has without a doubt the most painful voice to listen to.